At Aceyourpaper.com we are always looking for high quality academic freelance writers to work with our company. Currently we are looking to contract with about 10-20 new writers for the Fall 2017 and Spring 2018 semester. Please read the below requirements and confirm they are met before sending your resume. We have also outlined the process involved in becoming a writer. English must be your primary language, not a secondary language. must possess a valid social security or tax identification number so you can be issued a 1099 at year end. must be available for a 30-minute phone interview to discuss your writing responsibilities. 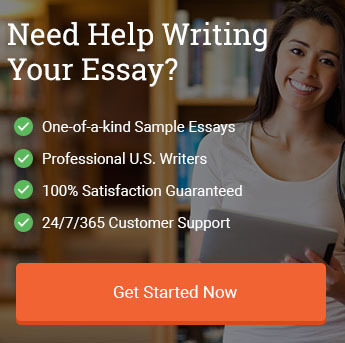 You will be responsible for providing our customers with a one-of-a-kind unique example custom essay per their exact specifications by the requested date and time. This example essay will be written in perfect English and grammar, and will be correctly cited throughout. The customers (students) will then use these example essays we provide as a template/guideline/reference in helping them complete their own essay. The student also signs off that they will not use the product provided for academic credit, and will properly cite any information taken from the document provided. Our rates start at around $9.00 per page and can increase to about $15.00 per page dependent upon quality of work, length of contracted time, and feedback from customers. We also pay more for the harder subjects and for orders that need to be fulfilled in 6-days or less. We pay out once per month for all orders completed the previous month either by paper check, direct deposit, Pay Pal (fees apply), or bank wire transfer (fees apply). 1. After we receive your resume we will review and verify for accuracy – this includes verifying education and previous employment or contracted work. 2. We will setup a phone interview which could last up to 30 minutes, to discuss our company and requirements. 4. We will send you an “independent contractor agreement” and “writer’s guidelines agreement” which will need to be signed and mailed back to our office. 5. Once we receive the signed contract, we will send you an email requesting a username/password as well as a payment form – which will need to be filled out so you can be paid. Do you take out taxes from our pay? NO, since you are an independent contractor and not an employee of our company, you are responsible for your own taxes and health insurance. We do however provide a 1099 at the end of the year which will include a total amount you earned that previous year. We usually mail out these tax documents around February. Can I update an old paper and submit if it’s on the same topic? Can I submit a paper I wrote to another company for compensation? If a customer uses a stolen credit card, will I still be paid? Yes, we absorb all fraudulent orders, so you will be paid 100% for all orders completed that result from credit card fraud. What is the name of the company I will be contracted with? You will be under contract with Student Network Resources Inc., which has been in the student assistance industry since 1998. We are a registered corporation in the states of New Jersey and Florida. We work with over 130 independent contractors and complete thousands of orders each semester. We also have a solid A+ rating with the BBB. Student Network Resources owns a network of college assistance websites, and you will be completing orders for these network of websites. If after reading all of these requirements you are still interested in working with our company, please submit your resume and at least 2 academic writing samples to writing@aceyourpaper.com. We will review your email within 2-business days and email you back with any additional questions or comments. If we have already fulfilled our quota of new contracted writers, we will keep your information on file for future opportunities. "Academic Freelance Writing Opportunities." Aceyourpaper.com. Student Network Resources Inc, 22 August. 2017. Web. 19 April 2019. Student Network Resources Inc. "Academic Freelance Writing Opportunities." Aceyourpaper.com. https://www.aceyourpaper.com/writers/academic-freelance-writing/ (accessed April 19, 2019). What do you think about students that buy essays online?